He's found another way to bring Wisconsin special recognition in addition to his headline-grabbing wars on clean water, hungry families, women's health, public employees, poor people, federal funds or ethical spending. At the very moment - - on May 1 - - that we learned that major SE Wisconsin population centers would be exempted at Walker's request from stronger US Clean Air rules - - an exemption smoothing the way for Foxconn's precedent-setting polluting emissions over Racine County hurriedly permitted by Waker's Wisconsin DNR - - the world had just finished - - on April 30 - - its first continuous month recording greenhouse gas levels not known for eons, experts report. Call it kismet, call it karma, but, really, wow, because if the atmospheric data keeps hitting those historic levels, Walker can say long after he retires to the private sector which First Lady Tonette Walker said was her husband's 'real money' destiny that he made sure as Wisconsin governor that he kept the line moving. Though to be fair, Walker and the rest of the 'chamber of commerce mentality' officials he's put in charge of clean water, fresh air and press release production probably didn't know they were in the midst of so many newsy trends since Walker had deleted climate change information from official state webpages and got rid of the people and positions at the Department of Natural Resources devoted to climate science study. And to be 'more fairer,' as the Wisconsin State Journal's late scribe Roundy Coughlin would have put it, and as Urban Milwaukee has pointed out, some of the potentially-harmful contaminants likely to be produced by Foxconn processes are heavy metals that could cause problems in waste water treatment, so not everything of concern about Foxconn and the environment is an air pollution or lung disease issue to fret about. 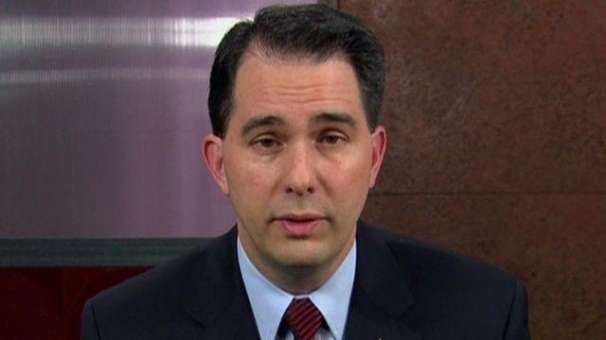 Nonetheless, Walker has helped maneuver Wisconsin again into a national, perhaps international, conservation, so kudos to him for turning a routine May day, even May Day, into Mayday! Leah Vukmir, "spending hawk?" Please. Trump gets Memorial Day wrong. Again, and again.